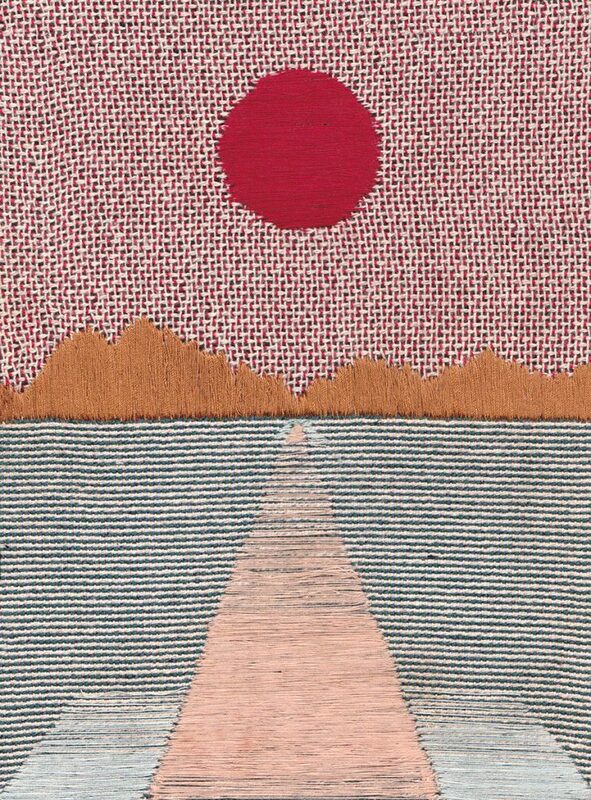 This original hand-embroidered miniature tapestry illustrates a blood moon over a sweeping vista. Exhibited at Small is Beautiful at Flowers Gallery 2018. 16cm x 21cm 100% cotton woven jacquard tapestry with hand embroidery. Handmade in London.